The primaries have begun, and President’s Day will soon be upon us. America’s next Commander in Chief will take the oath of office in just 11 months. With such historic happenings, we figured it was the perfect time to let you in on 7 “important,” but little-known facts about our former leaders. At its peak in 1799, Washington’s Mt. Vernon distillery produced more than 11,000 gallons of whiskey. But where did the idea for a distillery originate? Washington’s business manager, James Anderson, was from Scotland. And upon seeing all the unsold and unused wheat, corn and rye from Washington’s farm, he suggested the venture, which had an average of $7,500 in sales a year during its existence. Because of this, and other income, Washington refused to accept the presidential salary of $25,000 per year. According to the History Channel, our first president’s teeth weren’t actually made of wood, but were instead comprised of human teeth, gold, hippopotamus ivory and metal fasteners. 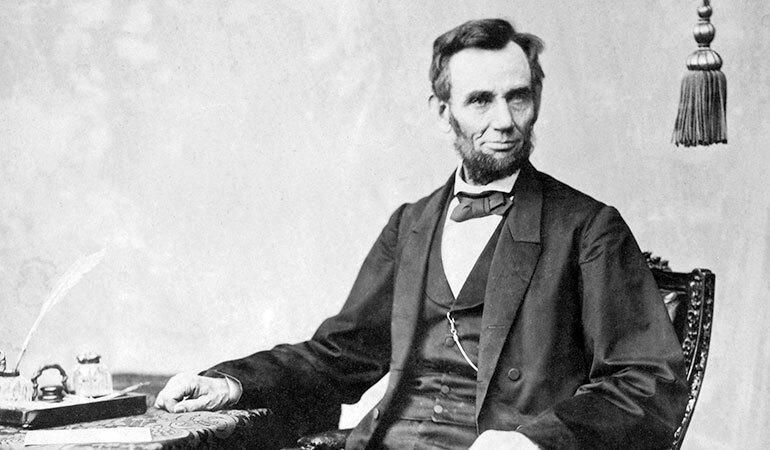 In keeping with the … spirited topic, Abraham Lincoln was the only U.S. president to be a licensed bartender, and actually co-owned Berry and Lincoln, a saloon in Springfield, Illinois. Astute editors and grammarians may notice that there’s often no period used after the “S” in Harry S Truman’s name. That’s because the “S” doesn’t stand for anything. Even though the Harry S. Truman library uses the period, Truman himself got angry whenever he saw it, and insisted that the “S” was actually a compromise to appease his grandfathers, Anderson Shipp Truman and Solomon Young. Harry S Truman (33rd) was the last U.S. president not to have graduated from college. The other 8 were: George Washington (1st), Andrew Jackson (7th), Martin Van Buren (8th), Zachary Taylor (12th), Millard Fillmore (13th), Abraham Lincoln (16th), Andrew Johnson (17th) and Grover Cleveland (22nd & 24th). Grover Cleveland was the only president in American history to serve non-consecutive terms. On October 1st, 1924, Jimmy Carter, the son of a peanut farmer, was born in Plains, Georgia. The 39th President of the United States, Carter was the first Commander in Chief to be born in a hospital.